When you’re in the market for a new class 3 – 7 truck you want a dealership that specializes in that specific truck, not a dealership that treats them as a sideline. If you want a car, you go to a car dealership. If you want a class 8 truck, you go to a class 8 dealership. 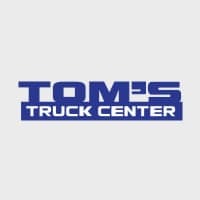 At Tom’s, we only sell class 3 – 7 trucks from Isuzu, Hino and Fuso – that’s all we sell, and no one does it better.